While announcing a net loss of $10.1 million during the fourth quarter 2017, Glatfelter Chairman and CEO Dante C. Parrini said the company may sell its struggling specialty papers unit. Specialty Papers’ net sales declined 6.9 percent in the fourth quarter compared to the same period in 2016, and, despite an anticipated $20 per ton increase in the first quarter selling price of specialty papers, shipping volumes in the quarter are expected to be relatively flat compared with the fourth quarter of 2017. Parrini said. The first quarter is expected to reflect higher seasonal energy costs and raw material prices, Parrini said. He said a possible outcome of the strategic review process may include, but is not limited to, the sale of the Specialty Papers business. “At this time, the company’s board has not set a timetable for the completion of the process nor has it made any decisions related to any specific strategic alternatives,” he said. 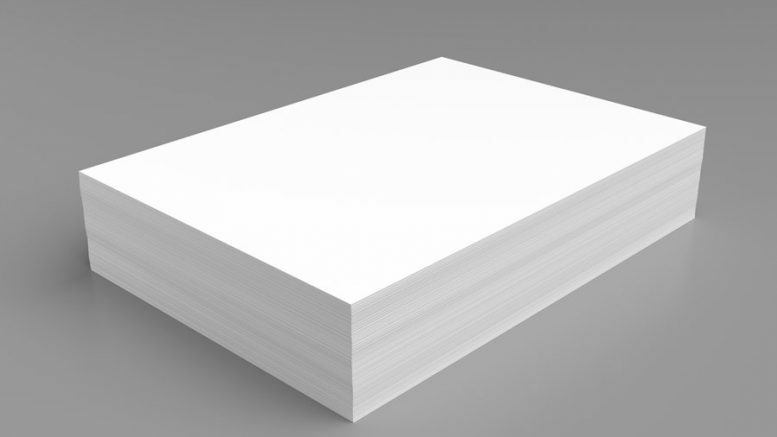 The company has retained Credit Suisse as its financial advisor to assist in the review of strategic alternatives for the Specialty Papers business. Be the first to comment on "Glatfelter may sell specialty papers business"